When it comes to private jets, we've got you covered. We deliver full spectrum business jet services with uncompromising comfort, privacy, safety, and security. Our extensive fleet of charter aircraft based in Ithaca(ITH), Teterboro(TEB), and Miami(OPF) allow you to customize your experience based on needs and budget. For over 30 years, TAC has managed aircraft for clients ranging from Fortune 100 companies to individual owners. Our full range of facilities and services guarantee high quality service for all aspects of running your aircraft. 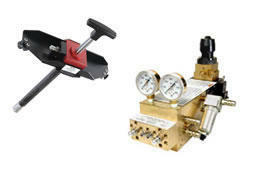 Taughannock Aviation is proud to offer its growing line of Ground Support Equipment. We offer a wide range of GSE including: Oxygen and Nitrogen Boosters, Mini Mules, and much more. We are Ithaca's Fixed Base Operator. 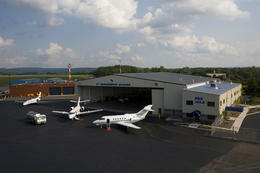 We offer fueling, hangar, maintenance, avionics and more at the Ithaca-Tompkins Regional Airport. Taughannock Aviation works with L & L International to provide our customers with the broadest selection of aircraft anywhere in the country. TAC certified repair station can provide you with scheduled and unscheduled maintenance, aircraft repair, and aircraft modifications on aircraft ranging from Gulfstream business jets to Cessna trainers. © Taughannock Aviation Corp. All Rights Reserved. FlyTAC is a trademark of Taughannock Aviation Company. Site by GORGES.